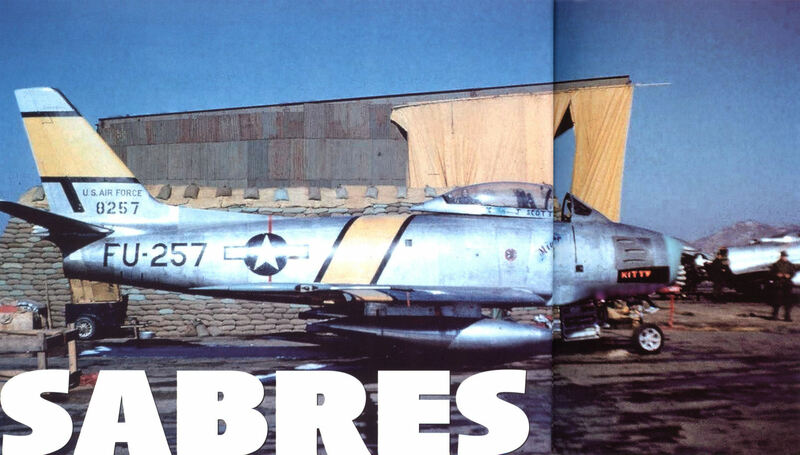 In 1953, at the end of the Korean War, the 67th TRW flew the RB-26, RF-80 and T-33 as well as the RF-86 Sabre. All the wing's aircraft are seen in the company of a Marine recce Banshee. 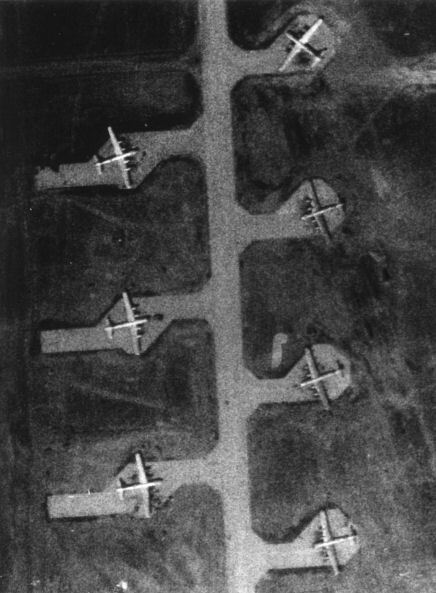 Detail of Khorol airfield showing Tu-4s on ramps. 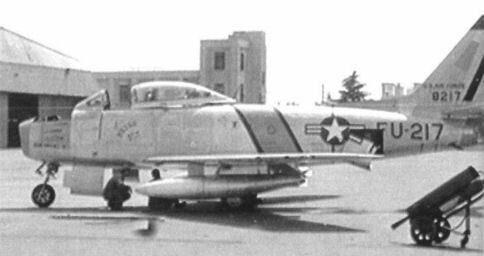 RF-86A 48-257, a project 'Ashtray' aircraft named 'MiG Killer' at K-14 in 1952. A front view of 'MiG Killer, RF-86A 48-257. RF-86F-30 'Haymaker' 52-4864, the mount of Lt Tom Hagler and was named 'Pretty Billie'. RF-86F-30 'Haymaker' 52-4864, Tom Hagler's 'Pretty Billie'. RF-86A 48-196, the first of the 'Ashtrays' - it arrived at Kimpo in April 1952. 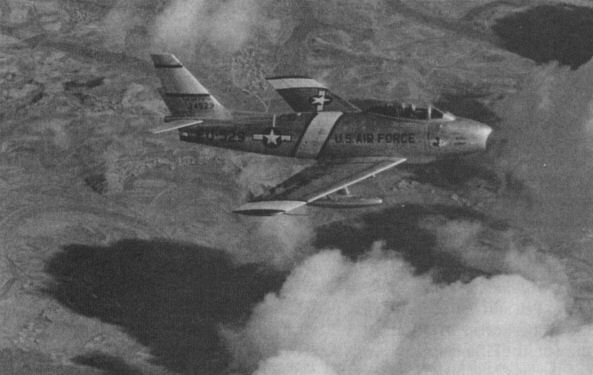 RF-86A 48-217, named 'Priss 8-th' by its pylot Clyde Voss. 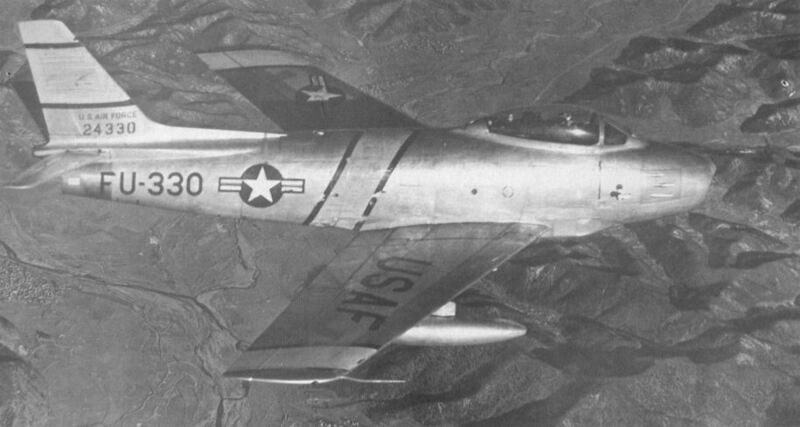 It was the first of the 'Honeybuckets' and was to be the only RF-86 to be lost in combat. RF-86F-30 'Ashtray' 52-4529 flown by 1st Lt Charlie Witmer out of K-14 in 1953. 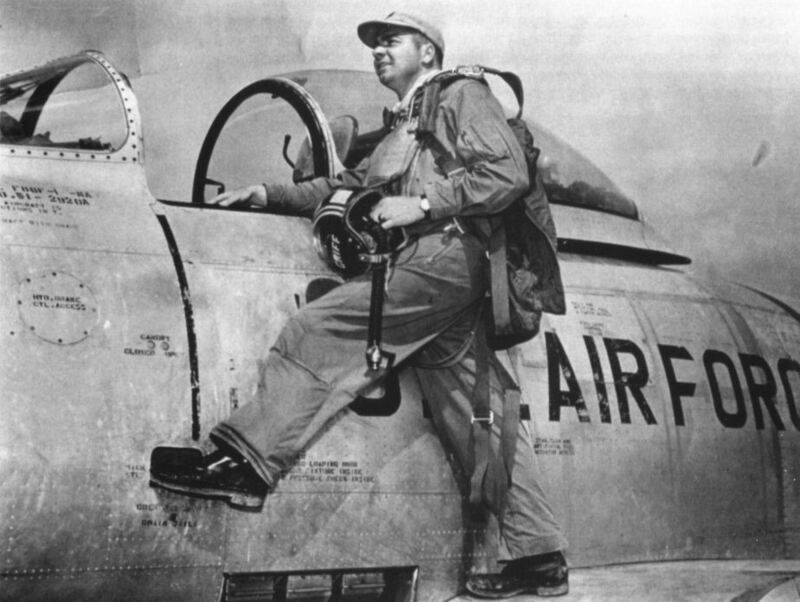 RF-86F-30 'Ashtray' 52-4330, piloted by Captain LaVerne Griffin. This aircraft was used to test the installation of a cine camera carried in a modified pod on the port wing. RF-86F-30 'Haymaker' 52-4585 over Japan in 1954. An 'Ashtray' and a 'Heymaker' of the 15th TRS on finals at Komaki in 1954. Captain LaVerne Griffin of the 15th TRS mounts his 'Haymaker' prior to a mission at Komaki in early 1954. 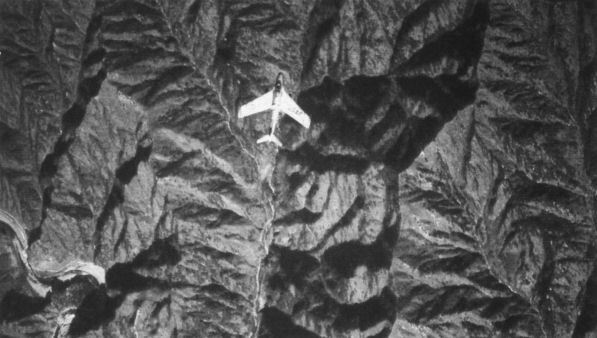 An RF-86F 'Haymaker' pilot going about his clandestine mission over North Korea on January 12, 1955, taken by his wingman.